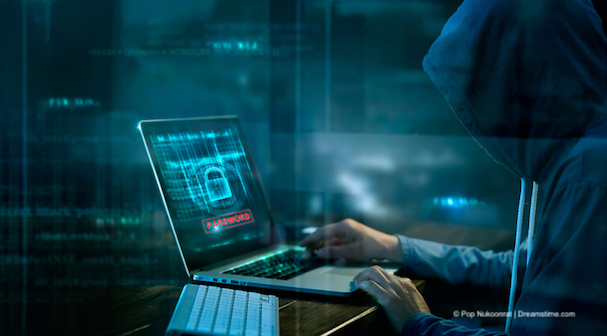 A new survey of online security professionals has found that an overwhelming majority expect to see the number of cyber-attacks being perpetrated by nation states to increase in the coming twelve months. The survey was carried out by Tripwire, a corporate cybersecurity company, at the InfoSecurity Europe 2018 event, which took place last week in London. They asked 416 attendees at the event, which brings together online security professional from across Europe and beyond, whether they anticipated more nation-state backed cyber-attacks in the coming twelve months. A remarkable 93% of those who responded said they did. Of those, 83% believed that nation-state attacks would be targeted at non-Government entities, with the same number also expected attacks to be levelled against critical national infrastructure targets. There was also a consensus that these attacks will be intended to cause direct harm to targets and the civilians living in those countries. While many of these attacks can be expected to take the form of malware and other malicious programming and software, attacks could also come in others guises as well. One such issue which the Tripwire survey highlighted was the risk of insider attacks. An insider attack is when someone working within a government agency or infrastructure body is secretly stealing core information and handing it over to a rival nation. An example used to highlight such attacks is the case of Greg Chung, a Chinese-born engineer who worked for Rockwell and Boeing. As ObserveIT highlighted in their report, Spies Among Us: The Rise of State-Sponsored Insider Threats, Chung was highly regarded wherever he worked, but over a period of more than 25 years, between 1979 and 2006, he was secretly stealing sensitive information and handing it over to the Communist regime in China. Chung was jailed for more than 15 years in 2010 after his activities were revealed. But he is just one such example of a growing threat to both companies and government bodies from a new type of spy that wouldn’t make the most compelling Bond villain but poses just as big a threat. Communist China is by far the biggest perpetrator of Insider Threats and part of the motivation behind the USA’s recent implementation of trade tariffs against China was their habit of stealing corporate secrets and breaching intellectual property rights. In the EU, a new body is being founded to try and counter these threats. It is being led by Lithuania, which has been subjected to repeated attacks from neighbouring Russia in recent years. The involvement of a number of other EU members, including Croatia, Estonia, the Netherlands and Romania, has also been confirmed. This anticipated increase in state-sponsored online threats is one of the main reasons why both governments and global corporations are investing more and more in cyber-security to protect themselves. But the threat extends to individuals too. Those who work in Government, infrastructure, or in big businesses which are involved in such sensitive work are often viewed as easy targets by state-sponsored hackers and surveillance operatives. Those in such roles are often provided by various online security tools in the workplace, but this doesn’t always extend to their personal online data and devices. It should. Many may use personal devices for work-related activities at times, while private online activities can provide useful information and even the basis of blackmail attempts from hackers. If you do work in such a role, it is advisable to ensure that all of your online devices are encrypted and secure. A VPN is the best tool to do this and premium providers such as ExpressVPN, NordVPN, and IPVanish all offer state-of-the-art encryption and dependable privacy protections too. But even if you do not believe you could become a target, it is still advisable to use a VPN when online. State-sponsored attacks can take many forms and while individuals, big business, and Government agencies are obvious targets, there is also evidence of state’s spreading malware and ransomware which effects the wider population too. State-led cyber-warfare is a very real threat and it is not something that will take place tomorrow or in the pages of some sci-fi thriller. It is happening right now, and the experts agree that it is on the rise. It is therefore advisable for everyone to take the necessary precautions.